TWS signed onto a letter along with 17 other professional, conservation, and sporting organizations, regarding development of the Pebble Mine deposit in the Bristol Bay region, Alaska. 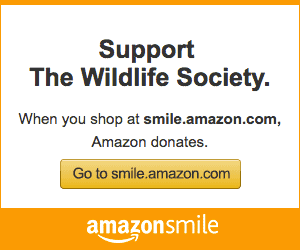 All the organizations are part of the American Wildlife Conservation Partners. The letter, addressed to Chairmen and Ranking Members of House and Senate Appropriations Committees, urges legislators not to hinder administrative processes by federal agencies, including the Environmental Protection Agency (EPA), aimed at reviewing the impacts of development in the Bristol Bay region. The EPA had released a proposed determination to restrict development of the Pebble Mine deposit in the Bristol Bay region under section 404(c) of the Clean Water Act. TWS previously supported the proposed restrictions due to the risks mine development presents to the ecosystem and watershed integrity. The Bristol Bay region provides habitat for a variety of wildlife species in robust fish populations that contribute to significant economic activity for the region. The American Wildlife Conservation Partners is a coalition of nearly 40 sportsmen and conservation groups working collectively for the future of wildlife conservation in the United States. TWS is involved in a number of coalitions to affect policy change and strengthen the voice of science-based wildlife conservation and management decisions to policy makers.